Here at Red Tail, we talk constantly about brands that catch our attention.  Since we work closely with the Ohio craft beer industry where new businesses (and new branding) pop up pretty much daily, our conversations usually involve breweries. We slack message back and forth, sending links to brewery websites, product releases, Instagram posts, and general industry discussion. Since we talk about this so often, we each chose a couple of our favorites to share with you and discuss why these stand out to us. Breweries listed below created a memorable experience for us. Maybe their brand stood out on Instagram, or we had a unique taproom visit. The only real rule, to be fair, is that we only picked from ones we have NOT previously worked with. But we shout those out later on, because we’ve worked with some badass breweries. Here are our favorites, organized by person. He uses clean line work to create emblematic logos and branding, meant to translate well to all manner of surfaces. Modern Times, based out of San Diego. Austin Beerworks, in Austin Texas. You can see why these both appeal to Tim. He values crisp designs with stylish, modern lines. Both of these breweries possess branding that pop across all manner of media, from digital resources and packaging to taproom signage. This creates scalable consistency, an essential part of any branding. You want people to know IMMEDIATELY what they’re looking at, not having to search a can or bottle to see who brewed what or what the beer is. 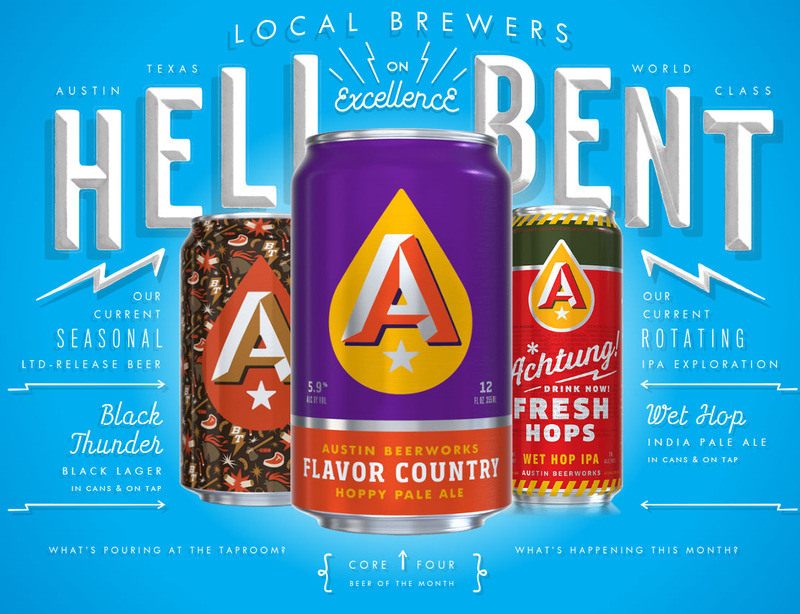 You may not be surprised to find out that the design company behind Austin Beerworks, Helms Workshop, also worked on Modern Times packaging. That’s how important consistency is to Tim, his favorite brands live in the same body of work! Likes Market Garden, in Cleveland, Ohio. Market Garden uses a strong a sense of place to create its identity. They put one of the Guardians of Traffic from the Hope Memorial Bridge front and center on their brand resources. The statue-centric branding is the focus of their bottle packaging, tap handles, and more. If you want to rep the city, you might as well use one of the most iconic images associated with Cleveland. 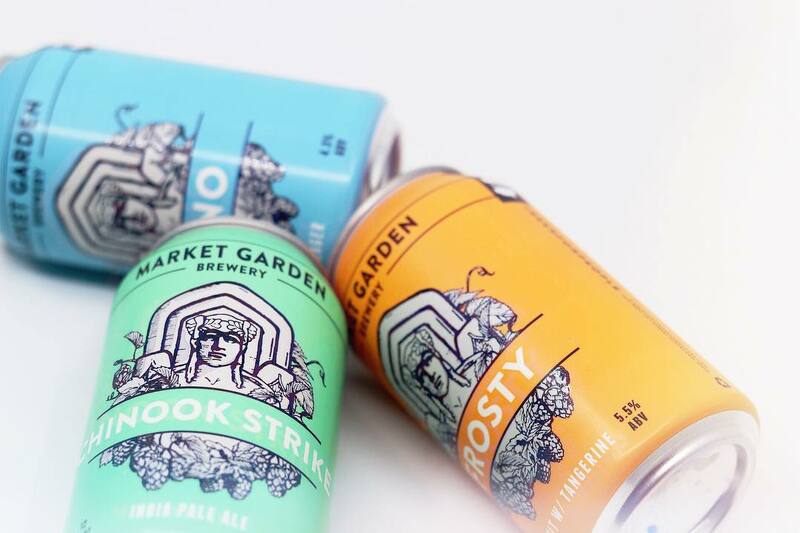 But Market Garden’s six-pack cans really pushed their design to new levels. You can’t really tell from images alone, but these are a genuine joy not just to look at, but to hold. The black lettering and linework is actually textured on the can. Not to mention the lush pastel colors and evocative beer names. You want to buy one of these when you see them in a bar cooler. They look tasty and stand out from most other beer cans, even in a saturated market. 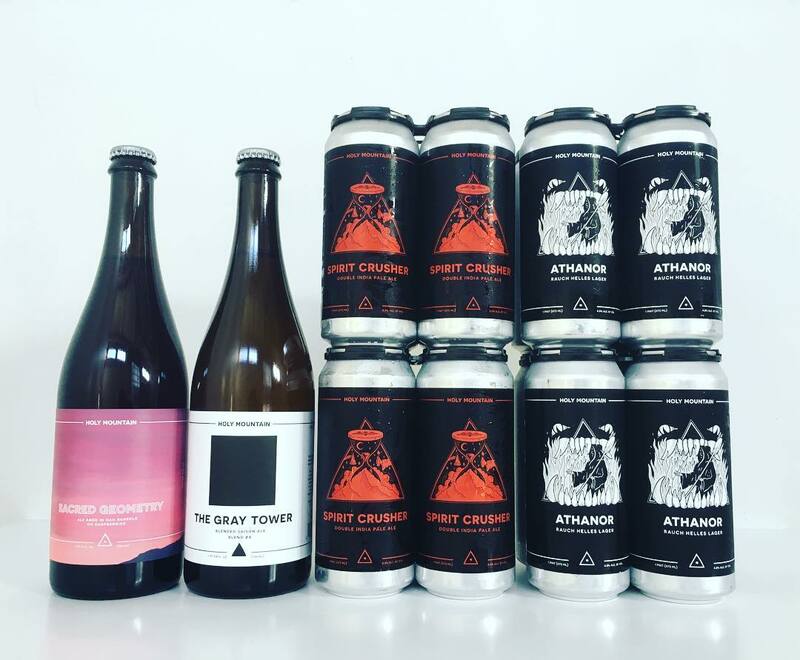 Gives a shout out to Gigantic Brewing, in Portland, OR. Gigantic’s style rests in that great old-school comic book look. You can see this in the art for Ginormous IPA. 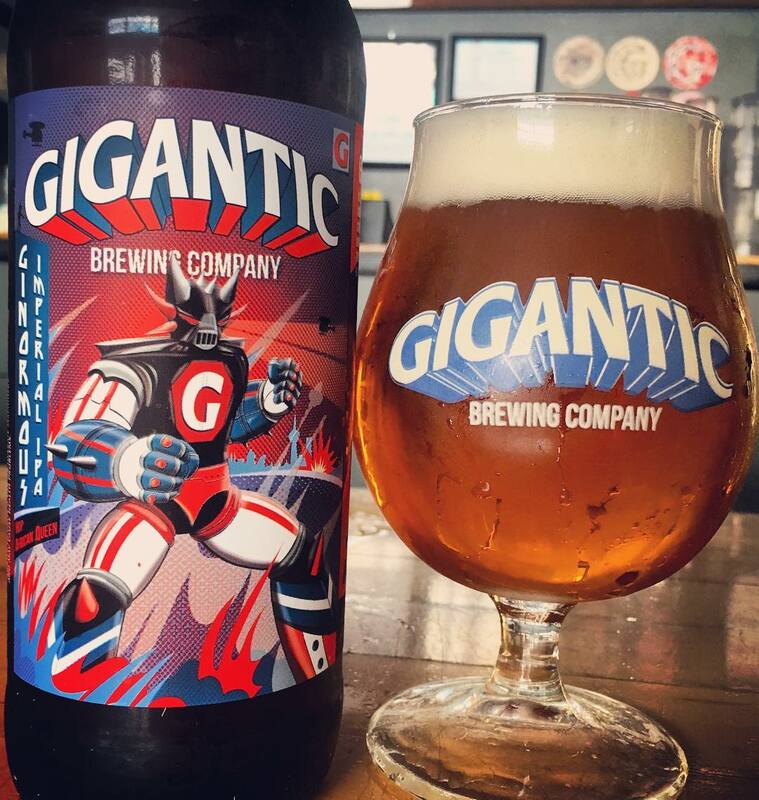 Gigantic, despite the name, is a smaller brewery that obviously focuses on making the types of beer that they personally like, with limited runs and interesting experiments. They are outspoken without being uptight, instead exuding a sense of fun with everything that they do. Ben also echoes Tim’s Modern Times praise. “They have one of the most interesting Taprooms I’ve ever been to… the place had the giant paper mache Macho Man Randy Savage hanging from the ceiling.” (Portland location). Modern Times brought artists on staff to make different pieces of art for their spaces, leading to tons of interactive and eclectic art everywhere you look. Is intrigued by the imagery of Holy Mountain, in Seattle, WA. Holy Mountain evokes a sense of cult-like fantasy that’s also found in Alejandro Jodorwosky’s film “The Holy Mountain.” This isn’t to say they’re copying a style, more like channeling a feeling. A mysterious mood that suits the grey PNW and the magic of barrel-aged beer. Their main logo is exceedingly simple, a slightly warped out-of-symmetry equilateral triangle. This logo gets expanded upon in their packaging, with the addition of other dark fantasy elements or evocative backgrounds. It is everything good branding should be, iterative and iconic. It takes quite a brewery to burst onto the crowded Seattle scene the way that Holy Mountain did. Isaac is also into DSSOLVR, based out of Asheville, NC. 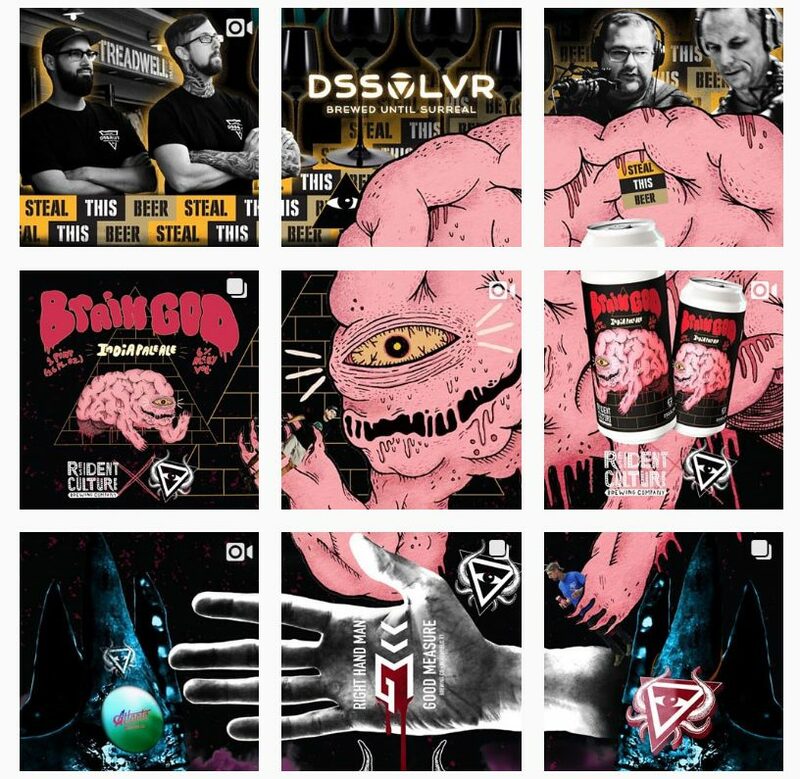 A new brewery from some industry vets, Dssolvr made some seriously good use out of their pre-opening time by creating a stream of collaborations with breweries around the nation. It was also a chance to showcase creative use of Instagram, the perfect media for their vivid visual identity. Seriously, their entire profile is a consistent scroll. It really stands out when a brewery prolifically cranks out beers before even opening their own space. Also, Isaac apparently has a thing for triangle based logos. 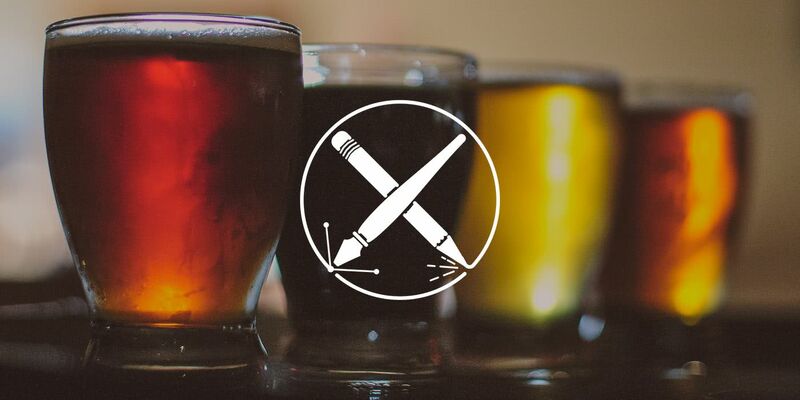 Of course no list of our favorite brands is complete without mentioning the fantastic breweries we have worked with. Got a favorite brewery you think might have flown under our radar? Message us a link on our Instagram (or elsewhere). We love talking about cool branding and fun marketing!